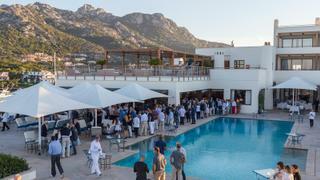 June 2017 once again saw another brilliant Loro Piana Superyacht Regatta take place at the Yacht Club Costa Smeralda. 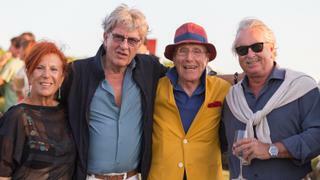 Alongside all the fantastic racing, a glittering programme of social events took place allowing old friends and regatta rivals to catch up against the stunning backdrop of the Sardinian coastline. Boat International Media would like to thank our sponsors and partners, Loro Piana, NetJets, Baltic Yachts, Pantaenius Yacht Insurance and Tai Ping, for helping make the 2017 regatta a huge success. 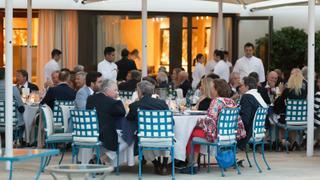 The end of the first day of racing was marked by the highly anticipated Loro Piana Owners' Dinner held al fresco on the terrace of the Yacht Club Costa Smeralda. A delectable three course menu of fine dining dishes was prepared for guests by famed Italian chef Carlo Cracco. 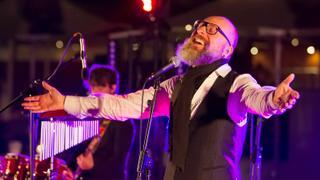 Dinner was followed by live entertainment from Mario Biondi. Laura and Pier Luigi Loro Piana, owner of My Song and deputy chairman of Loro Piana, with Franziska Rickenbach and Marco Vögele, owner of Inouï. Sir Lindsay Owen-Jones, owner of the winning Wally Magic Carpet 3, with his wife Cristina. 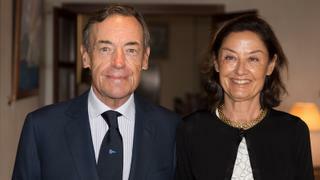 Sir Lindsay Owen-Jones, owner of the winning WallyMagic Carpet 3, with his wife Cristina. 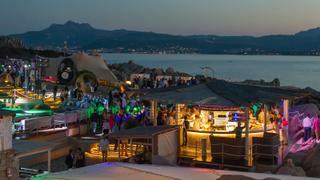 The penultimate day of racing was celebrated with owners, guests and crew coming together for the lively Sunset Party held at Phi Beach. 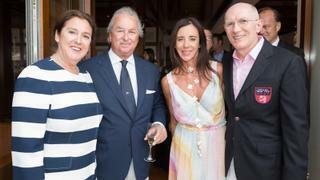 Paola and Trifirò with Pier Luigi Loro Piana and guest. 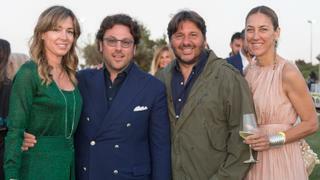 Edoardo Tabacchi, deputy chairman of Perini Navi, and Lamberto Tacoli, chairman and CEO of Perini Navi, with their wives. 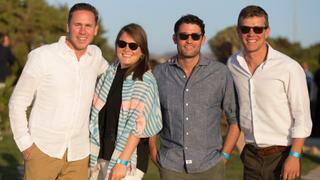 Carsten Michaelis, Tori Patterson, Michael Graham and Philip Baer of NetJets. 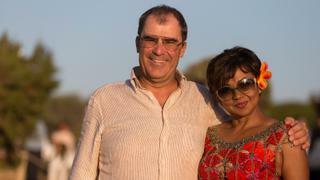 Christophe Albin, owner of Escapade, with his wife Lily.